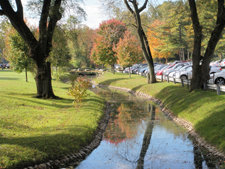 Shoreline Stabilization and Erosion Control | D&B Engineers and Architects, P.C. Our Certified Professionals in Erosion and Sediment Control (CPESC) and Storm Water Quality (CPSWQ), enable us to offer innovative, cutting-edge based services and solutions that regularly surpass client expectations. D&B’s substantial shoreline stabilization and erosion control experience has taught us that a combination of stabilization/erosion control alternatives will typically be the optimal solution for a particular site, highly dependent upon the unique characteristics of that individual site.